The 2018 NFL Draft is behind us, and most teams and prospects will walk away happy, hoping to do great things next season and beyond. But for some less fortunate hopefuls, their lifelong dream of being drafted by an NFL team will never come true. While they will surely continue to work hard to find another path to their ultimate goal, the sad reality is that for most of them, this could be the end of their football careers. But not all is grim. NFL teams and scouts are still human, even they make mistakes. That’s why so many top-rated talents don’t end up being as good as people thought they were. And it should provide hope and motivation for a better day, in which they will get another opportunity and seize it. Let’s take a look at the best NFL players of all time, who were NOT selected in the NFL Draft. If there’s one thing any one of these guys could tell you, it would be this – never give up. 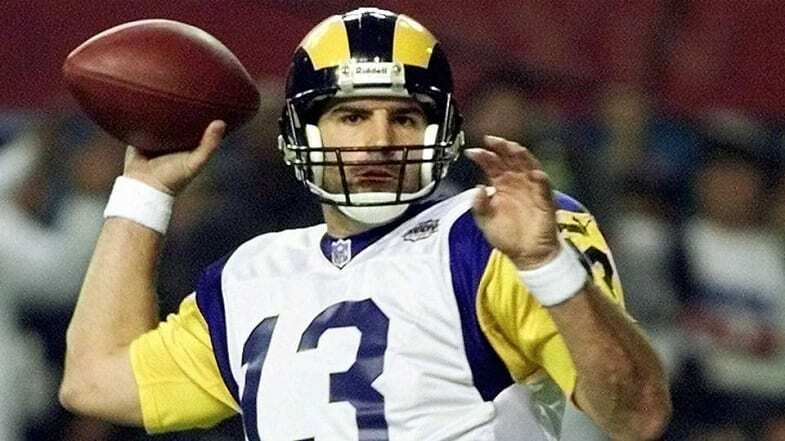 If Kurt Warner’s story doesn’t inspire you, nothing will. The guy was stocking shelves at a local supermarket when he got the call of his life, and he never looked back. Warner was named the starting quarterback for the St. Louis Rams in 1999, following a preseason injury to starter Trent Green. He started off very hot, becoming the first (and only) QB to toss three touchdown passes in each of his first three starts. Warner led the team to an incredible season, throwing for 4,353 yards and 41 TD passes. By the end of the season, he was named NFL MVP, after leading the Rams to their first division title since 1985, and their first playoff appearance since 1989. But he didn’t stop there. The Rams made it to the Super Bowl, where Warner shredded the Titans to the tune of 414 passing yards with two touchdowns. The Rams won their first championship in franchise history and Warner was awarded the Super Bowl MVP award. Later in his career, Warner became just the second QB (at the time) to ever make a Super Bowl with two different franchises, when he navigated the Arizona Cardinals to their first ever appearance in the big game. Moon was also discarded coming out of college. After not being selected in the 1978 NFL Draft, he joined the Canadian Football League, where he shined for six years. He later joined the Oilers and was a force for years to come. Moon’s career only flourished from there, as he remains tenth all-time with 49,325 passing yards, adding 291 passing touchdowns to his resume, even without his CFL stats. Despite not being drafted, Moon’s tremendous performance over 17 years in the league led to his induction into the Pro Football Hall of Fame in 2006. It’s almost hard to believe that such a dominant player at his position went undrafted. It just goes to show you that anything can happen if you believe in yourself and your skillset. 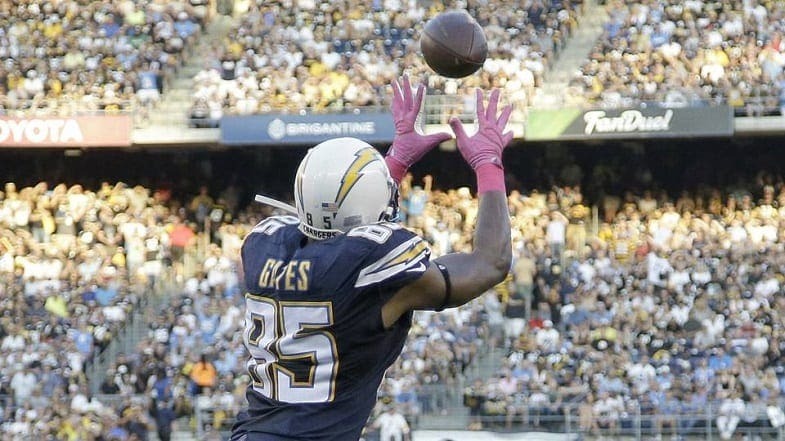 Gates took the league by storm, creating mismatches and becoming the go-to guy for QB Philip Rivers during his career. Gates is widely known for playing college basketball, as a power forward for Kent State. Gates has already claimed the crown for most touchdowns by a tight end in NFL history with 114, surpassing Tony Gonzalez’s 111. He has also accumulated 11,508 receiving yards, and should be a first ballot Hall of Famer by the time he ends up hanging up his cleats. Randle initially went undrafted before the Vikings took a shot on him in 1990. In just his second year in the league, he managed to rack up 9.5 sacks. Randle made a strong impact for the team, and he was rewarded with a stretch of six consecutive Pro Bowl appearances in the 1990s. By the time he reached retirement, he was able to accumulate 137.5 sacks, which to this day puts him at ninth all-time in NFL history. For all of his accomplishments, Randle was inducted into the Hall of Fame in 2010. Jeff Saturday was an integral part of Peyton Manning’s success in Indianapolis. His contributions went far beyond snapping the ball to one of the greatest QBs of all time. Saturday and Manning had great chemistry, understanding situations and adjusting on the fly. After going undrafted, Saturday was cut by the Ravens in 1998. He was forced to take time off, working in a supply store, before getting a shot with the Colts. Saturday made the most of his opportunity, making five Pro Bowl appearances before finally calling it quits in 2013. Tony Romo played his college ball at Eastern Illinois. He then went undrafted in 2003. 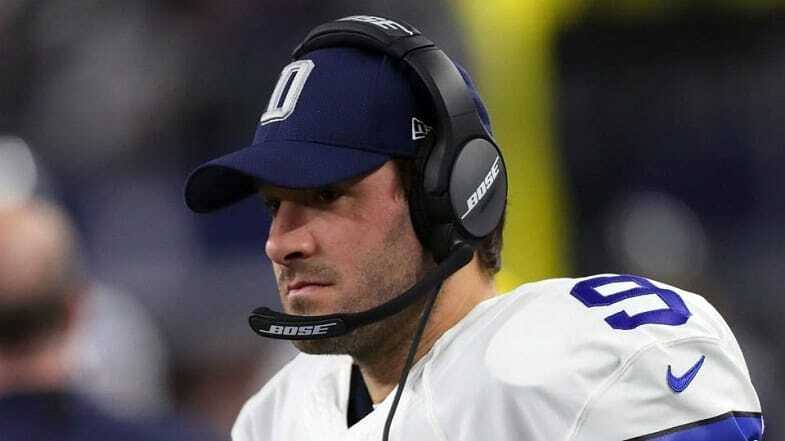 But Romo kept his head up and hoped for another shot down the road. He got his wish when the Cowboys signed him as an undrafted free agent that same year. While he initially served as the team’s placeholder for kicks, he was eventually given his shot to start at QB during the 2006 season, completing his first NFL pass for 33 yards. His second throw was a two-yard touchdown pass to wide receiver Terrell Owens. Despite not reaching the same playoff success as other Cowboys greats Troy Aikman and Roger Staubach, he was able to surpass them statistically. Romo remains the Cowboys’ all-time leader in both passing yards and touchdowns, with 34,183 and 248, respectively. Holmes was signed by the Ravens in 1997, and recorded his first 1,000 yard rushing season in just his second year in the league. But it wasn’t until he joined the Chiefs that his career really took off. Holmes was the most dominant running back in the NFL during a three-year stretch from 2001 through 2003. He had three consecutive seasons with over 2,000 total yards from scrimmage, taking the league by storm. During those three years, Holmes averaged 1,530 rushing yards. He also seemingly scored at will, reaching the end zone 24 times in the 2002 season. He followed that by recording an astounding 27 touchdowns in 2003 to set a new NFL record (LaDainian Tomlinson has since broken the record with 28 TDs in 2006). Despite going undrafted, Holmes ended his career with 8,172 rushing yards, 11,134 yards from scrimmage, and a combined 94 touchdowns. He was selected to three Pro Bowls during his career.